Today was fun-filled and tasty! Probably a little too tasty; I’ve only been working out four days this week, and I’m down to half an hour from that hour-long Insanity workout. 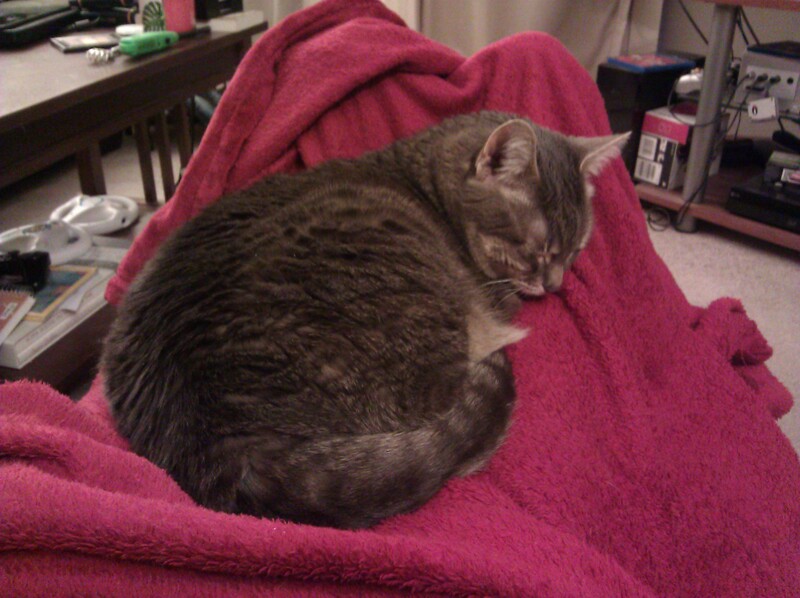 This morning, I woke up to this cute little face. We’d planned an outing to Bridgeport today, which meant late lunch, because first up was a showing of Jack the Giant Slayer. Delightful movie, it hit all the right high points and had enough conflict and high stakes to keep things interesting. Nicholas Hoult was adorable if not quite strong enough to carry the hero role, but I really like his geeky, lanky, somewhat awkward looks. We enjoyed him so much in the movie, we want to go see Warm Bodies next weekend. 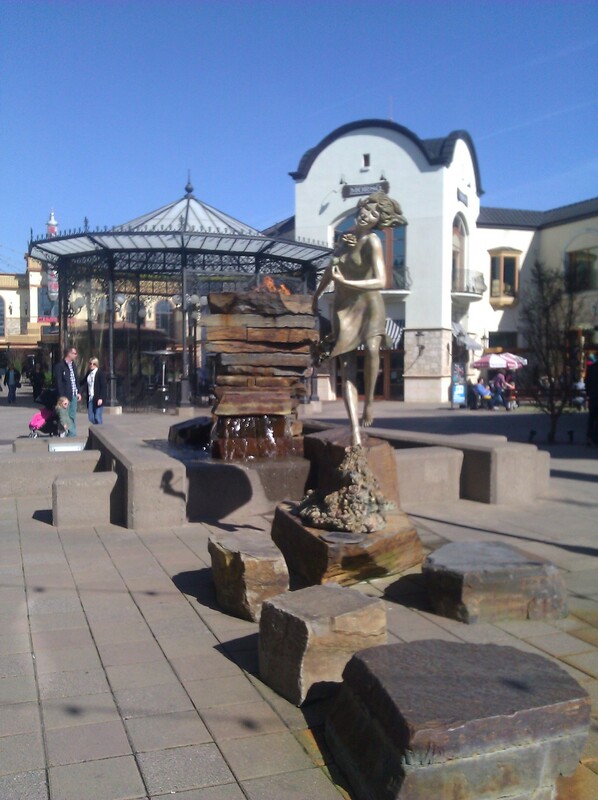 It was a nice day at Bridgeport Village! Bit chilly, but the sun warmed things up later on. 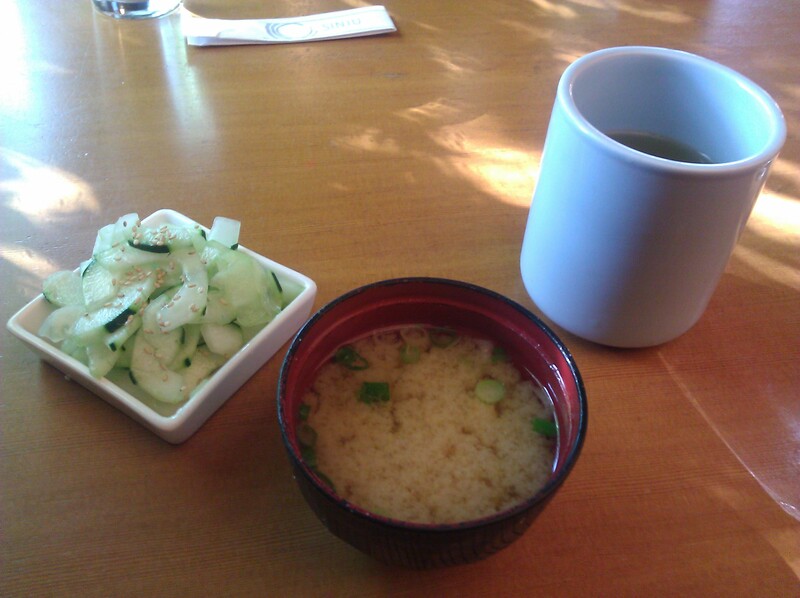 After the movie we went to Sinju Sushi for a tasty lunch. 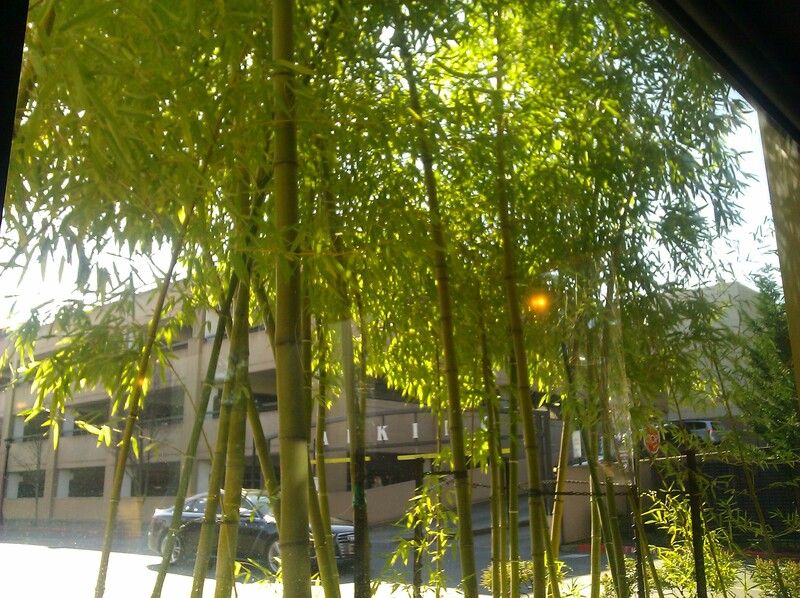 I had to get a shot of the bamboo outside our window. We declined patio seats but the hostess wanted to give us a seat near the sunlight. 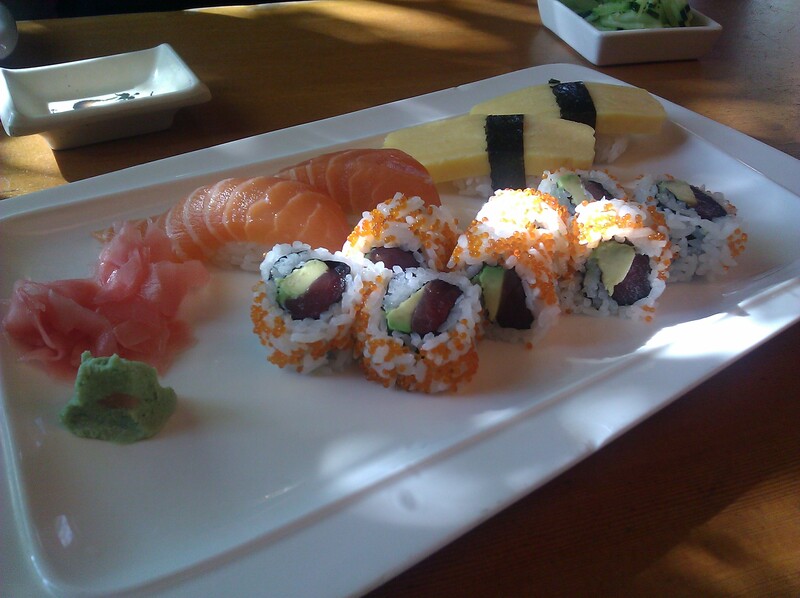 Tasty, tasty sushi. This is a tuna avocado roll with tobiko on the outside, and I had to get some salmon which was so very delicious, it practically melted in my mouth. 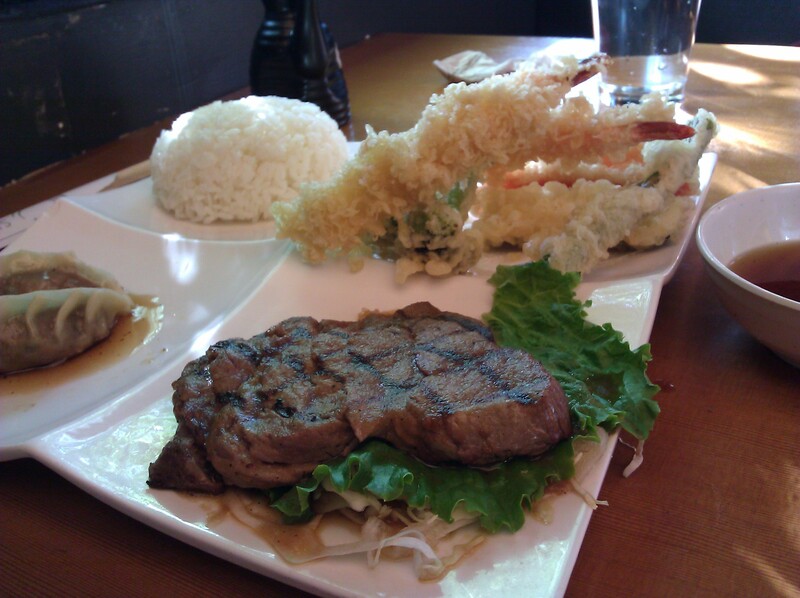 For my lunch, I opted for the combo lunch with Sinju steak and mixed tempura. It was all really good, and didn’t give me as much trouble as fried food usually does. After lunch we walked around a bit, picked up food for dinner at Whole Foods and some olive oil at a discount because we tend to go through a ton, and stopped by Starbucks before we hit the highway. 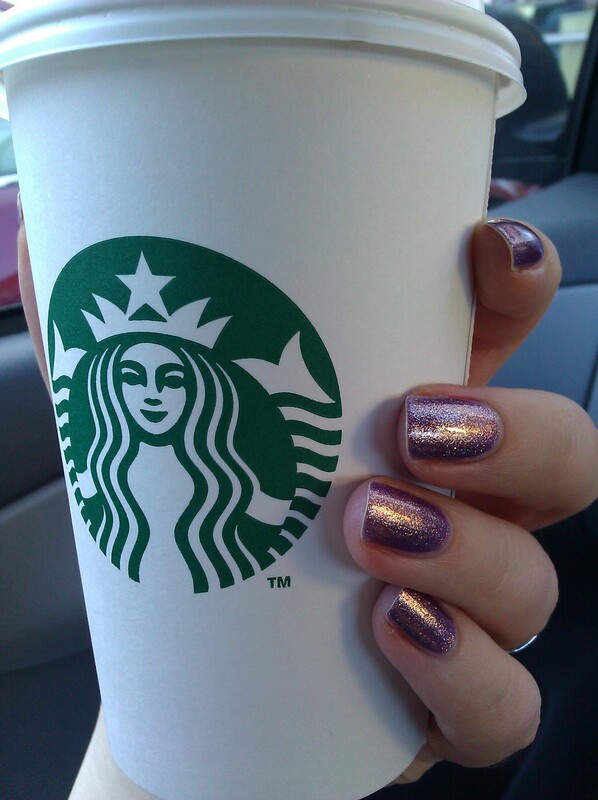 I had to give the hazelnut macchiato another try! It’s nothing that really hooks me, I think, but it’s a tasty change of pace. 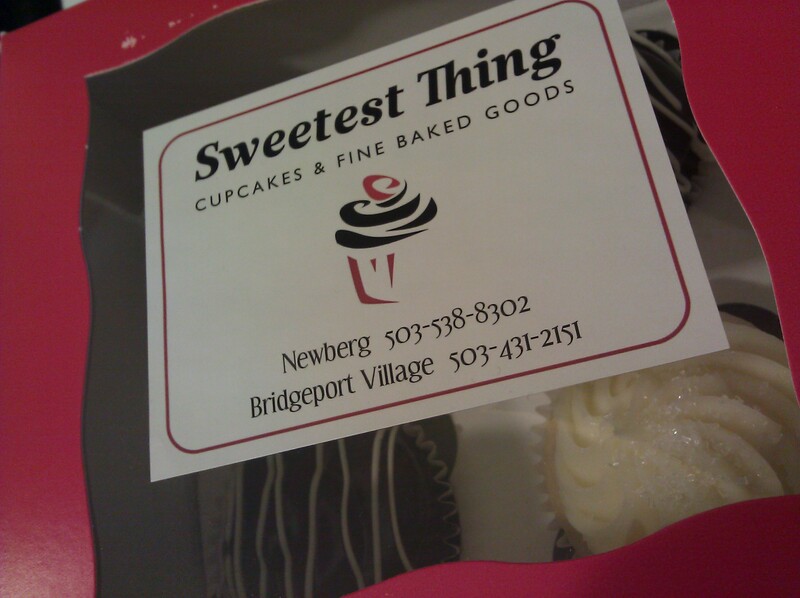 To finish off the day we picked up a few cupcakes for later. The “Wedding” cake, almond cake with almond buttercream, was absolutely divine. 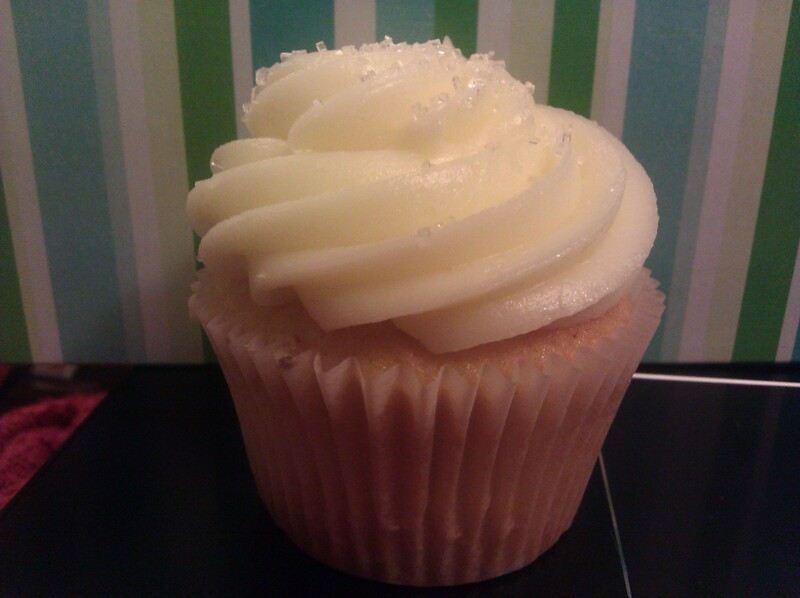 The one problem I have with their cupcakes is that the frosting ratio is too generous. That was my foodie adventure for the day! Now I’m going to settle in with some television and catch up on my nail polish tumblr, before surfing for recipes to adapt for next week’s nourishing but yummy lunches. Drop by tomorrow to catch the first day of the giveaway for A Cut Above the Rest, and gear up for the Tour de Foodie! ← The Fall Guide is greenlit!